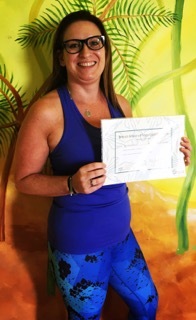 Lisa is also very active within the British Wheel of Yoga (BWY) and is now the deputy of the City & North London branch, assisting, organising and teaching at events, master classes, workshops and member’s afternoons for her region. Lisa's teaching is influenced by different styles of Hatha yoga. her approach is welcoming, creative, interactive and fun. Classes delivered are safe, well rounded with particular attention paid to alignment and breath and movement co-ordination, which can be enjoyed by all levels and ages. Classes build on strength and flexibility which promote a balanced, happy and healthy life-style. The theme for Lisa's 2018 retreat will 'The Elements'. This retreat will include two yoga sessions per day. Morning sessions will be dynamic and energising whilst the evening sessions are more restorative and rejuvenating. Sessions will explore different types of asana, pranayama, meditation and relaxation. There will be plenty of time to relax during the day or to go and explore the area, adding to the harmony which will be brought to the mind and the body.